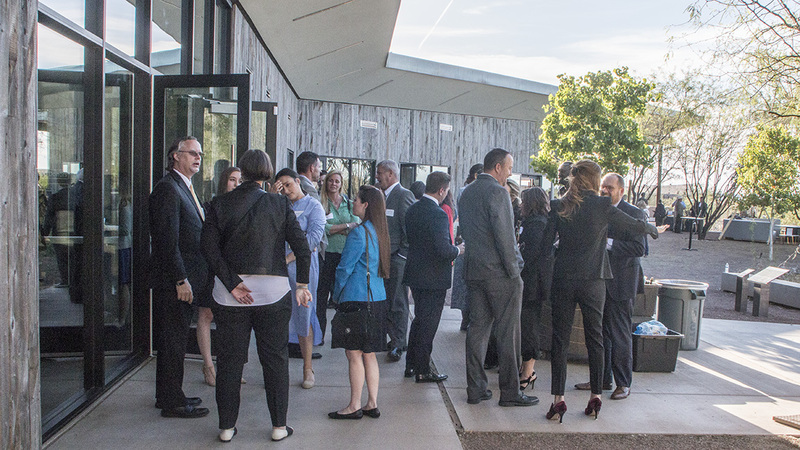 First, I want to thank all of you who attended our first “Sippin’ the Spirit of the Southwest, Spirits” event last month. It was festive, pretty and experiential. And, I am hoping that those of you who weren’t able to attend it, might be able to attend the second event in the series, The Family Festival. Family Festival will be Sunday, April 29th from 11:00 to 3:00 p.m. 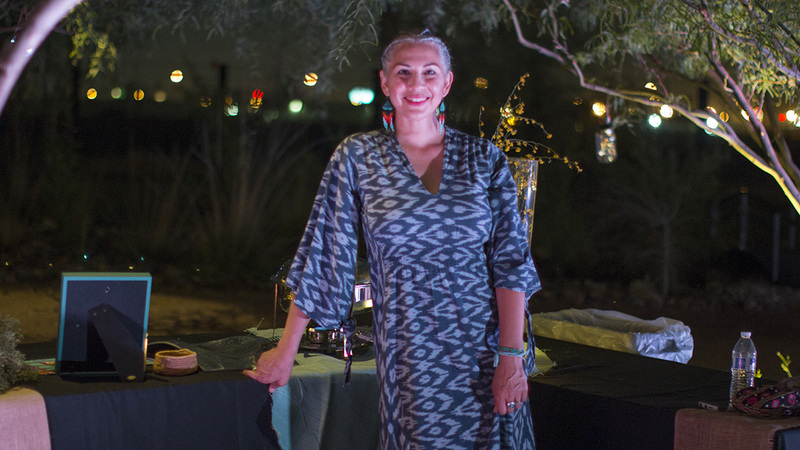 There will be food including a pop up taco stand with street style tacos, traditional Native American foods including but not limited to Navajo fried bread, local beers and distilled spirits, Agua Fresca with fresh fruits stations and other surprises. 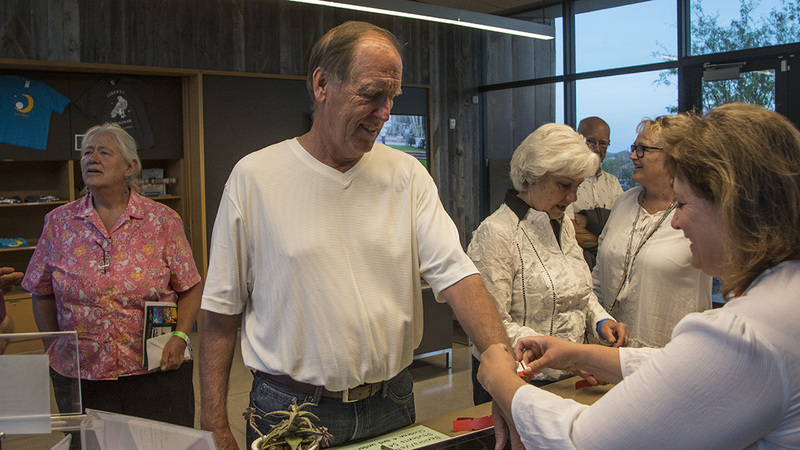 There will be entertaining stage programs in the amphitheater, face painting, and an edible medicinal plant talk and stroll around the property to identify what might be in your own back yard. 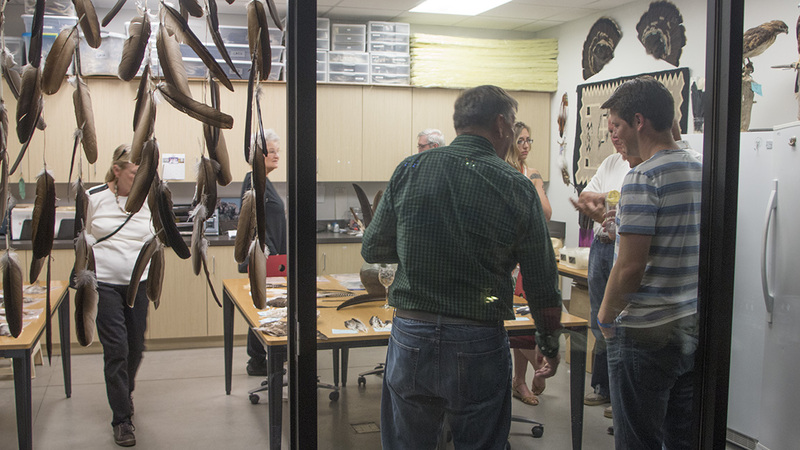 Activities for young ones will take place related to our Non-Eagle Feather Repository…get a taste of the culture close hand. For more information, please go to our web site, www.libertywildlife.org. and scroll down to Upcoming Events. Or, you can follow this link to buy tickets ahead of time. And, as many of you already know, we are embarking on our busiest time of the year. 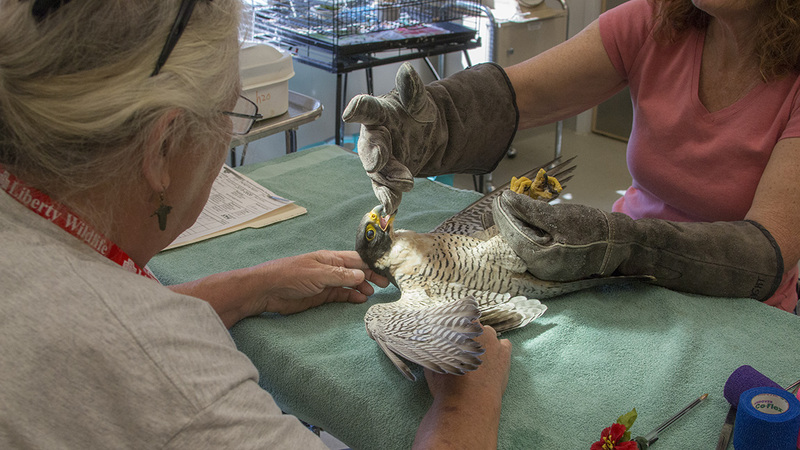 It is a time when you can get involved in helping the mission of Liberty Wildlife in a “hands on” manner. 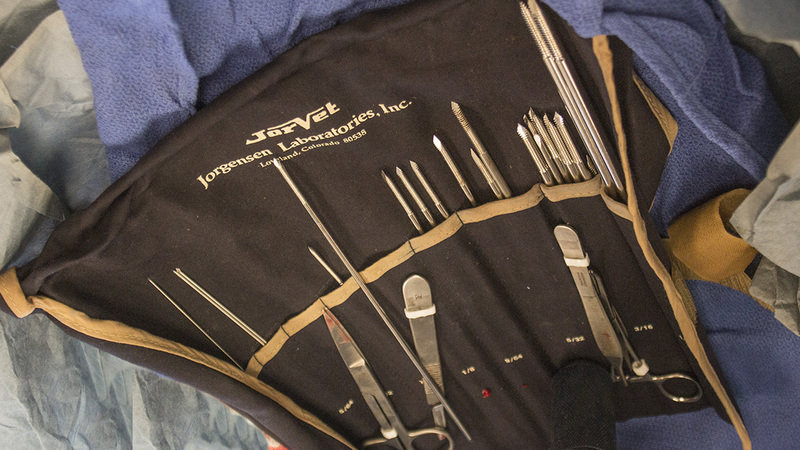 Sign up for an Orphan Care shift and see how it all works. The shifts are from 7 to 11, 11 to 3, and 3 to 7. There is a lot going on at Liberty Wildlife these days, and we love nothing more than sharing our work with you. Please visit us on Wednesday, Saturday and Sunday from 10 to 1 but watch for a change in hours in May when we will open from 9 to noon….summer heat is on us. 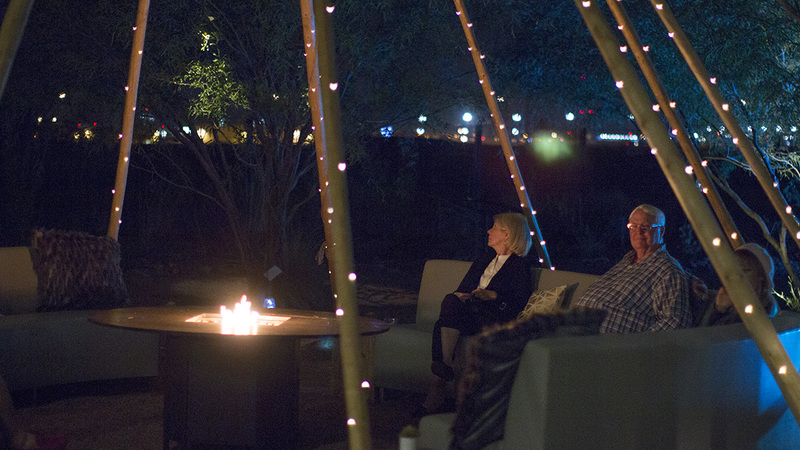 See you on the 29th for our Sippin’ the Spirit of the Southwest, Family Festival. The intake total for this year is now up to 984. It’s been a busy couple of weeks with two events on back-to-back evenings just as the busy baby bird season gets into full swing. Orphan Care has yet to open officially but the numbers speak for themselves. 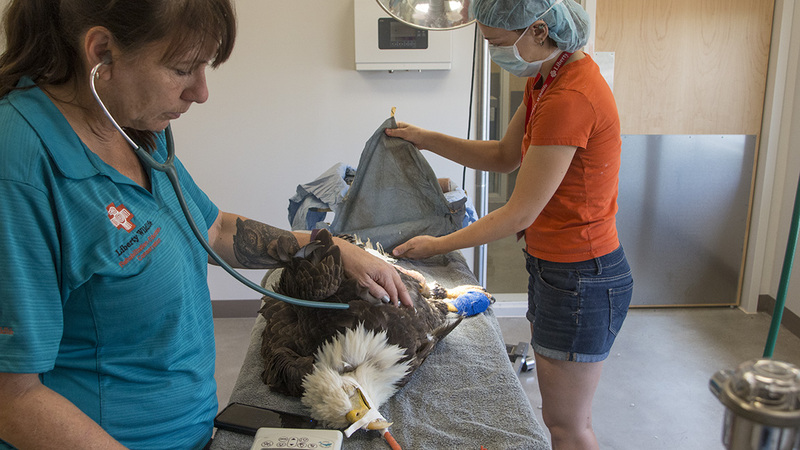 It’s getting more and more difficult to leave the intake window alone for even a minute to do other projects, and soon we’ll be needing another person to accommodate the crowds dropping off animals. Thankfully John Glitsos has been working overtime to develop the new tablet-based record system which will hopefully alleviate some of the traffic jams at the intake window. Slowly and surely, we are settling into the facility that is our home. 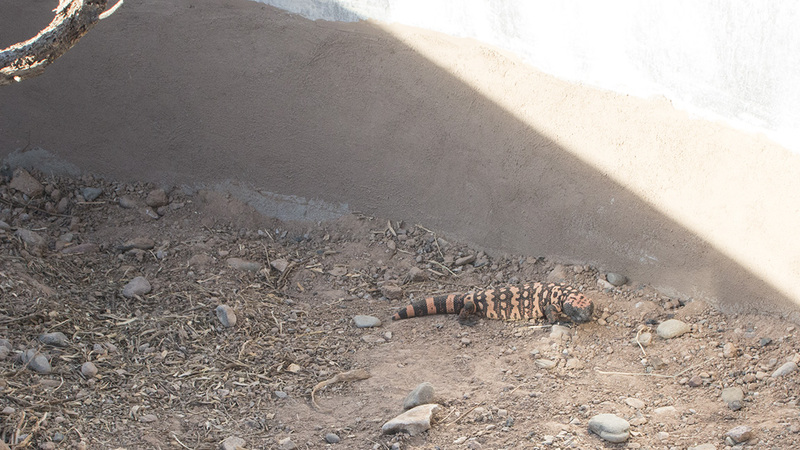 Rex got to go out into the new reptile enclosure for the first time – with Rosie! 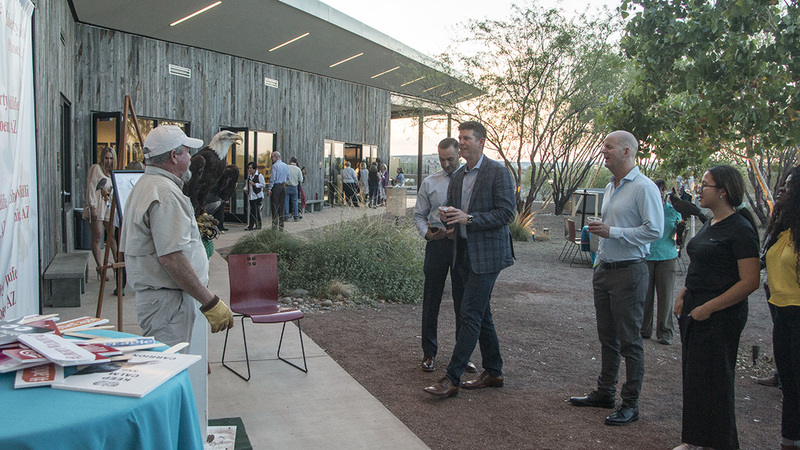 The first big event was on March 29 when the State Society of Arizona held the Inaugural John S McCain Award for Lifetime Service to Arizona at Liberty Wildlife. Guests were treated to our own brand of hospitality as several of our animal ambassadors were present for the evening’s ceremony. 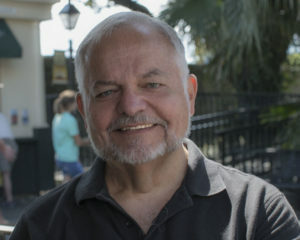 This first annual award was given to Jim Kolbe. 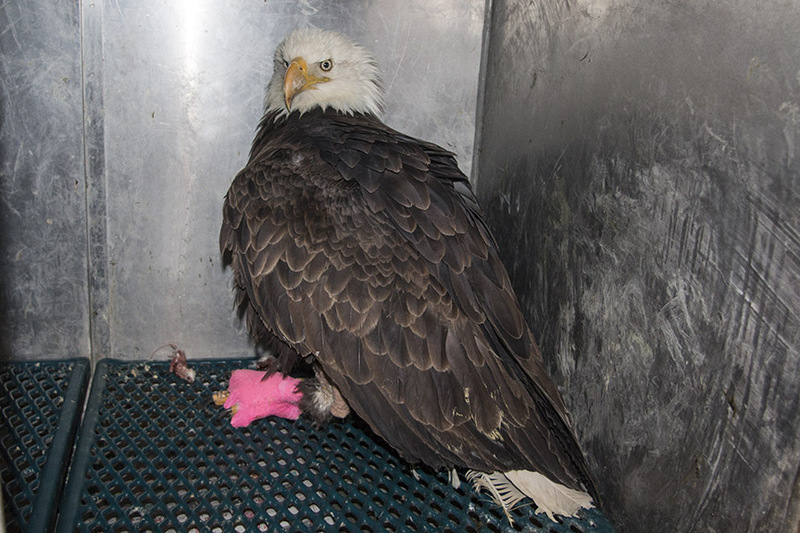 We recently got in a bald eagle that had been found by some US Forestry Dept. Firemen. 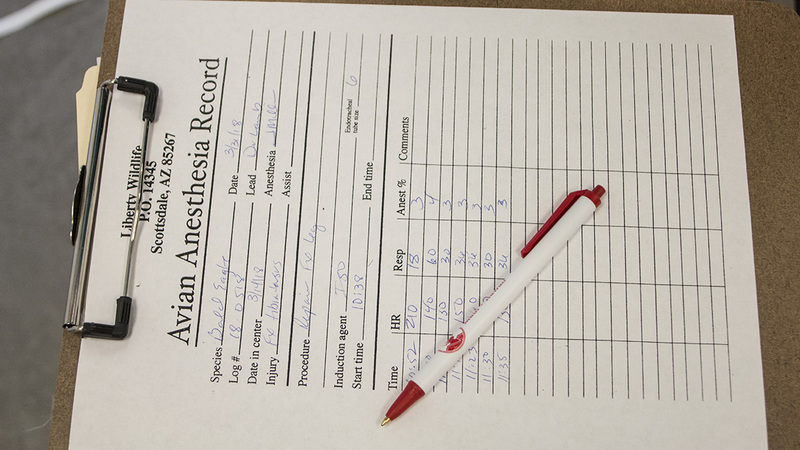 The bird was very down when he arrived and there were doubts as to his eventual recovery, but as always, Jan thought she’d try. What was at issue was his extremely high lead levels which caused the toxic reactions. 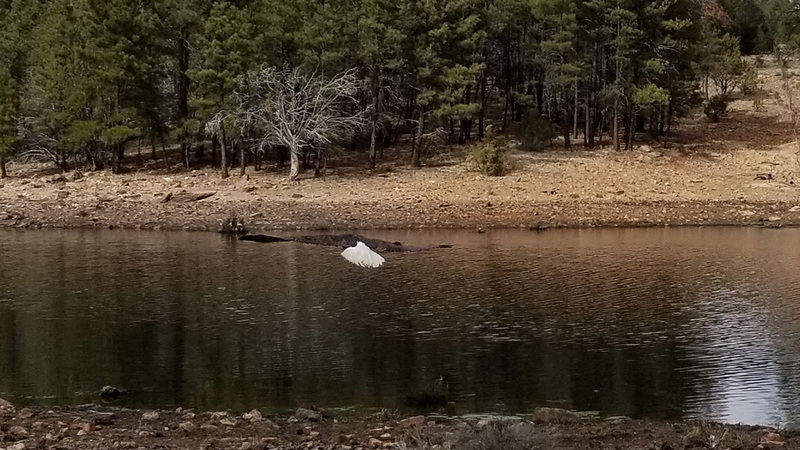 But he responded to treatment surprisingly well and last weekend, Joe and Jan took him back to Russell Tank, close to the south rim of the Grand Canyon. The two firemen who did the original rescue were able to open his carrier and set him free, completing the process! 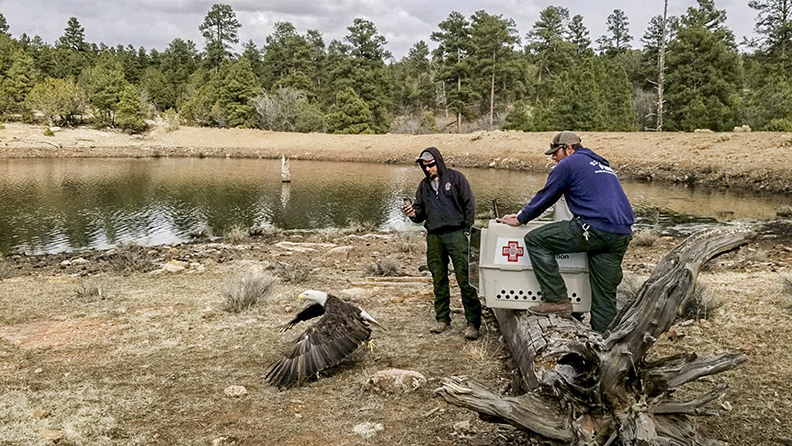 He flew well and adds to the number of bald eagles that Liberty has successfully returned to the wild in the Arizona skies! He’s a down-town city falcon! There have been peregrine falcons living on a building in down town Phoenix for a couple of years now. 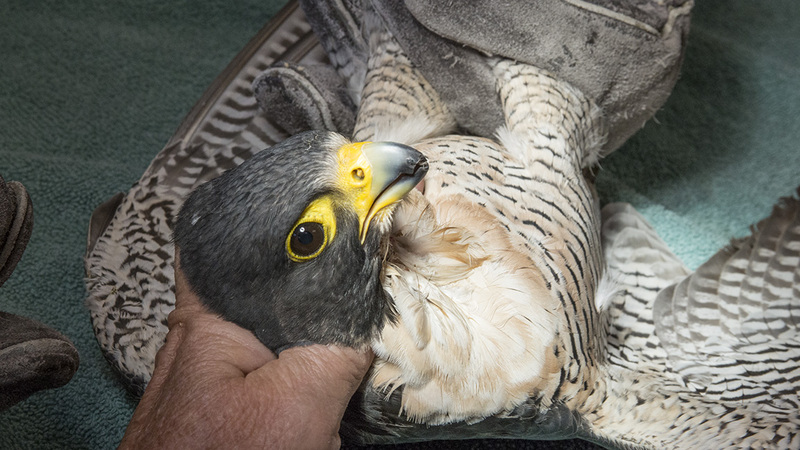 Recently we took in a small injured male that appeared to be one of our local city birds! His injuries are still under treatment but he seems to be responding adequately at this time. 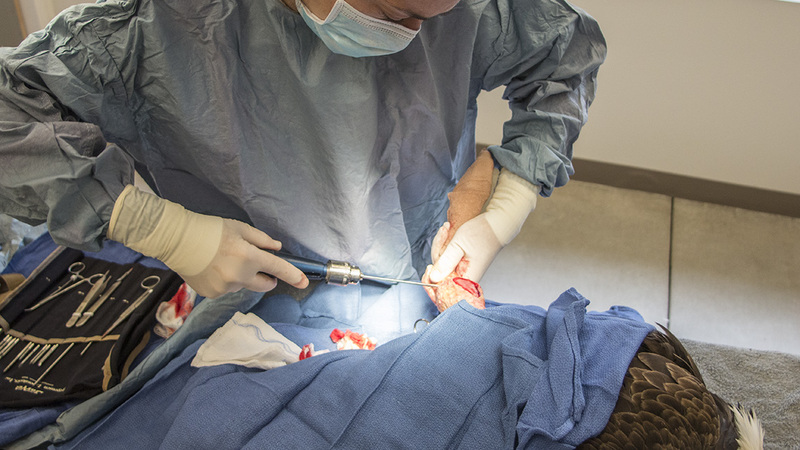 It’s still undetermined what caused his issues, but we hope he can get back into the wild soon as the gene-pool needs this little guy’s contribution! Regina checks in guests and celebrities! 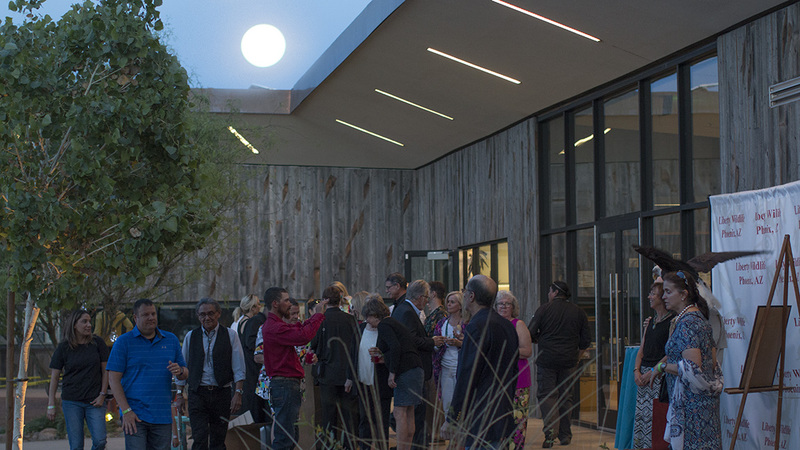 Our second major event was on the evening of the 30th, Sippin’ the Spirits of the Southwest. The moon was full and the sky clear except for the overcast of stars. 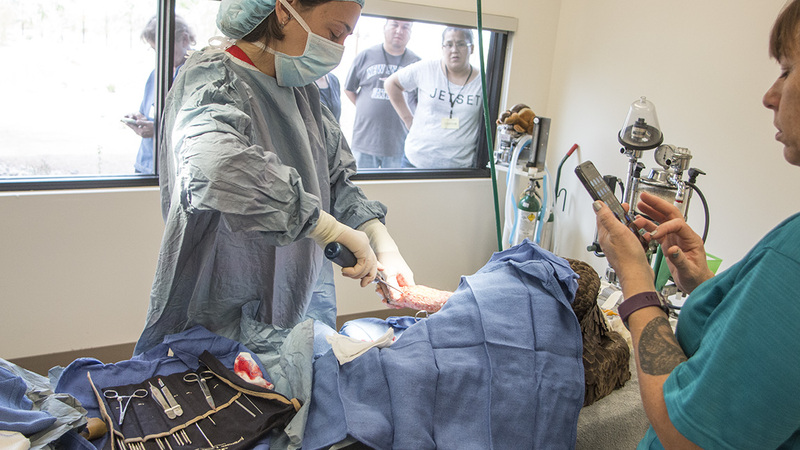 Everyone seemed to enjoy the kick-off of a series of these events held for the first time at our own facility. 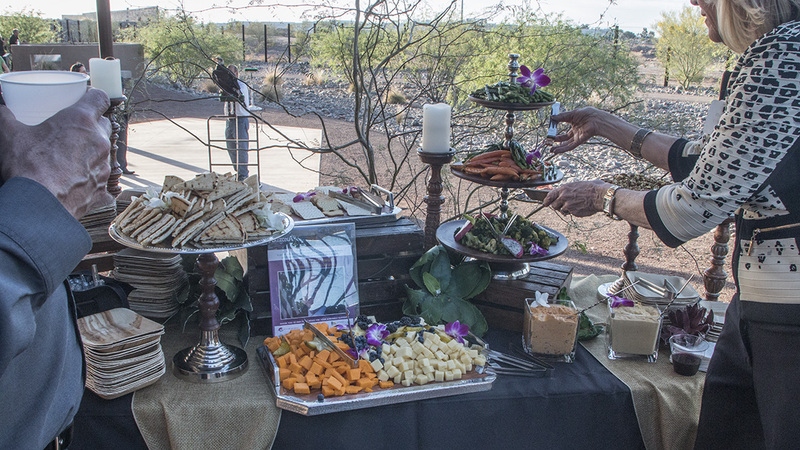 A crew of experienced handlers introduced many of our animal ambassadors to the large group of guests as they meandered around the facility on a perfect evening to taste various native American foods and spirits concocted for this showcase of the southwest. 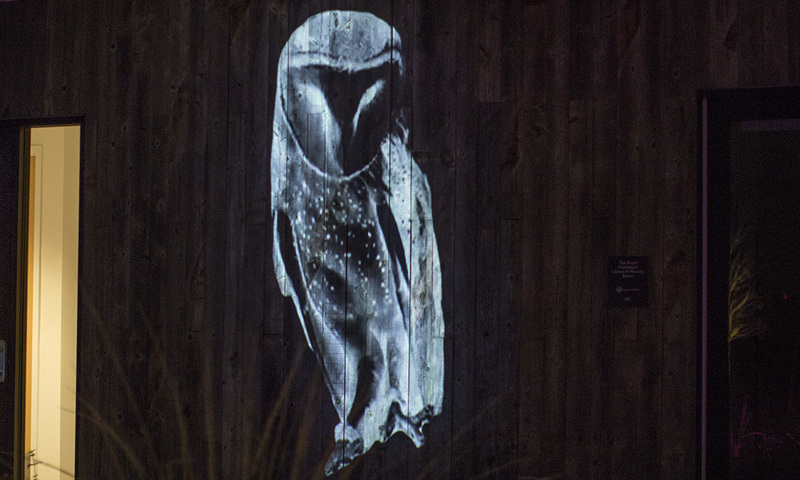 By all accounts, the night was a huge success enjoyed by everyone lucky enough to be at the Rob and Melani Walton Campus of Liberty Wildlife for this inaugural event! 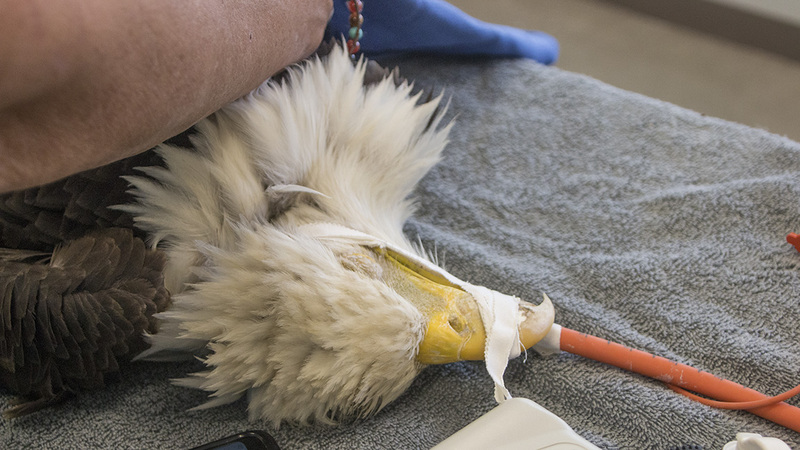 The bald eagle we reported on in the last update had surgery last week. 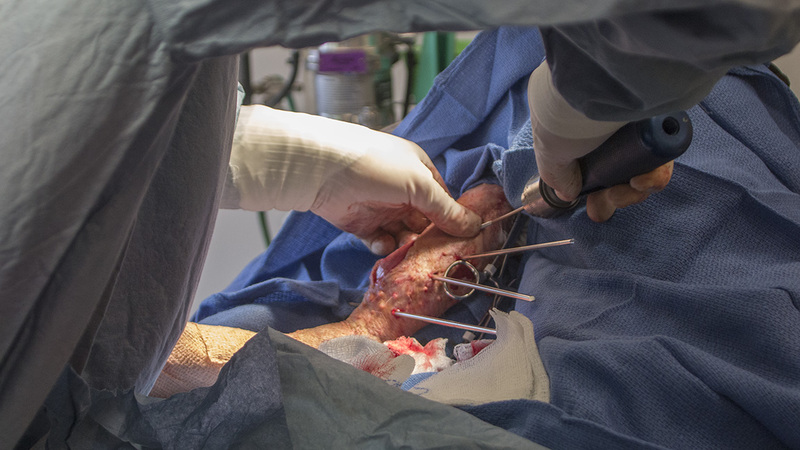 Dr. Lamb, assisted by Jan Miller, reassembled the pieces of the shattered leg and inserted several steel pins to hold the bone fragments in place while they heal properly. 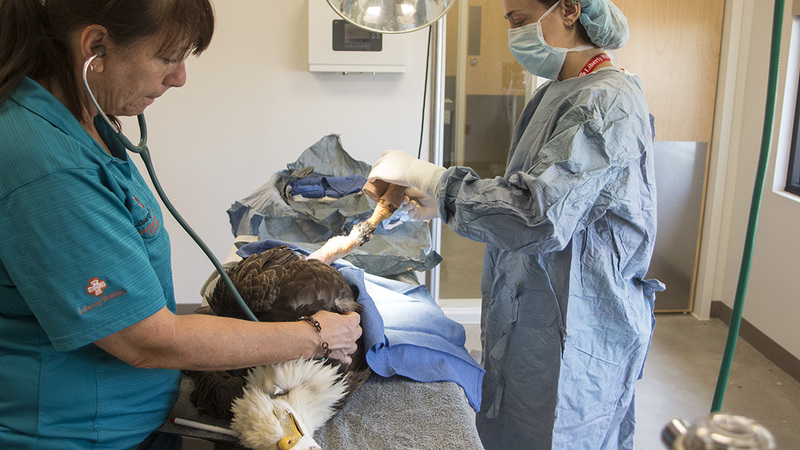 The bird had been on the ground long enough for the break to begin to heal by itself, but the alignment was terrible and this surgery was meant to give the adult eagle a chance to regain proper use of his leg. 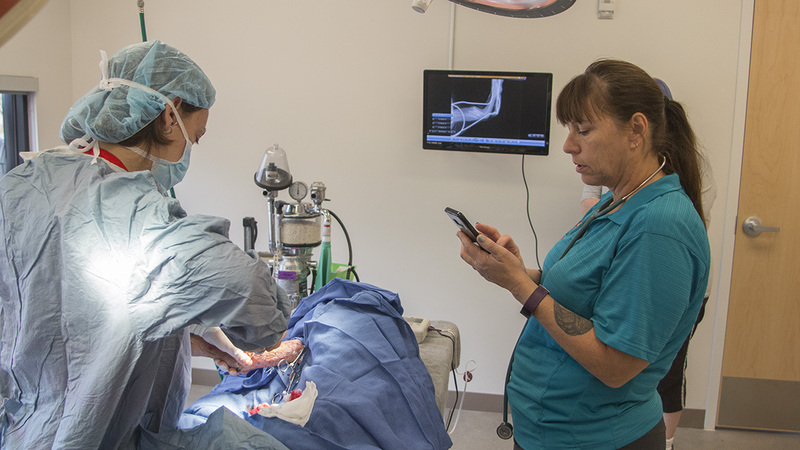 The bird appears to have come through the process well, and now only time will tell if the leg will regain its usefulness. Fingers crossed, everyone! 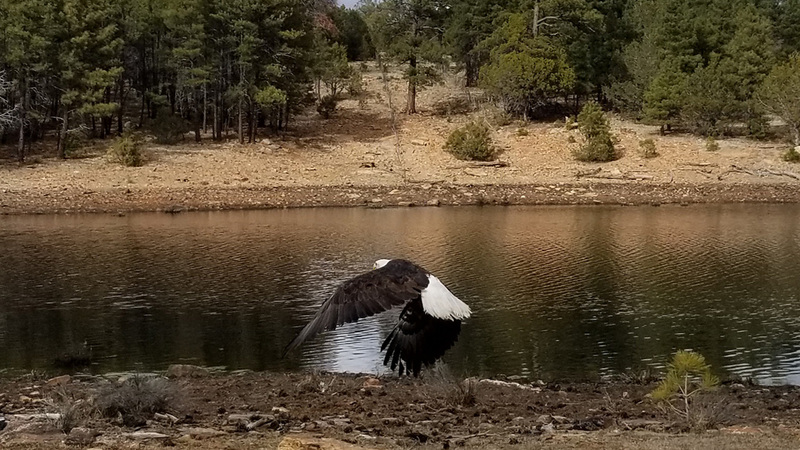 Great pictures of the Bald Eagle release Jan! I’m so happy that beautiful bird can soar the skies once again! 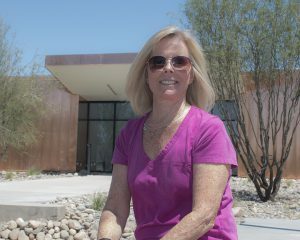 Jan…you are a rock star! 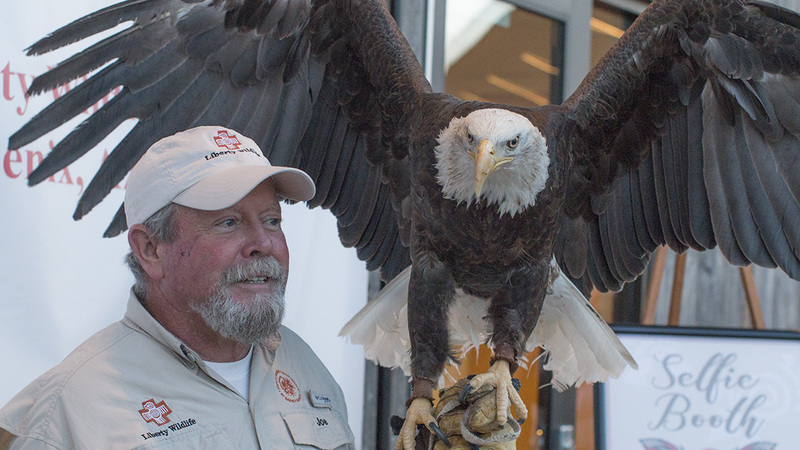 I am so proud of Liberty Wildlife and the good work we do.